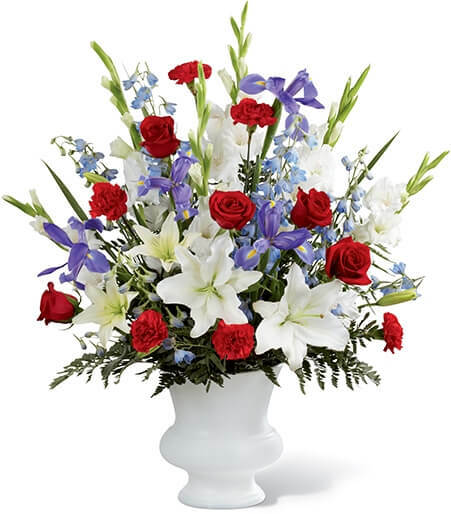 Sending funeral baskets are a wonderful gesture to show your deepest sympathy. They are appropriate to send from just about everyone. 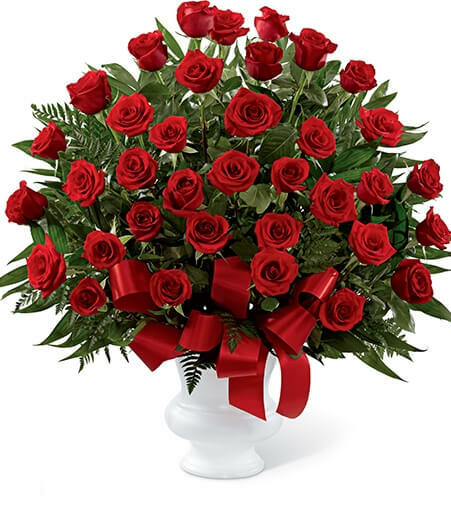 They are usually one sided arrangement in either a basket or a large plastic contain that sits on the floor to display funeral or sympathy flowers. 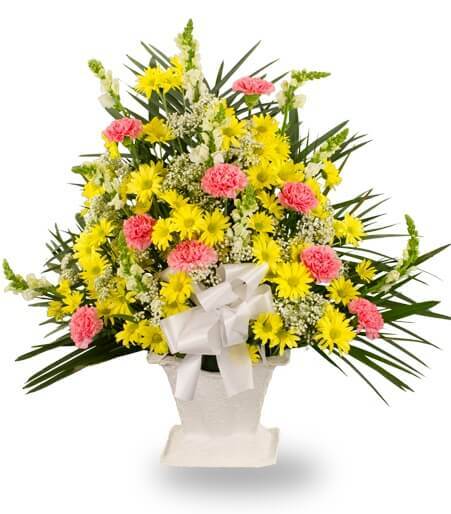 Sending funeral baskets is a great idea for a woman funeral services. 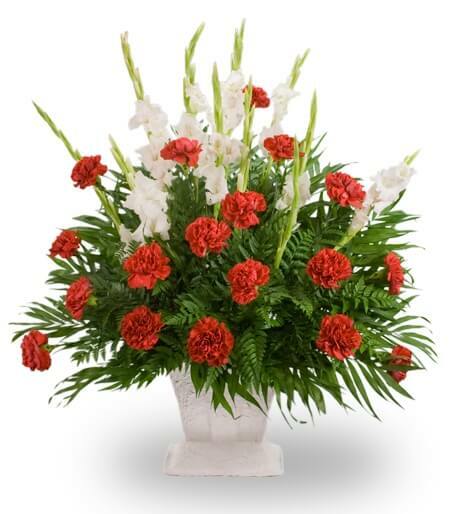 Whether you’re close to the deceased or a distant friend they express your condolences applicably. There are plenty of feminine funeral baskets to choose from. 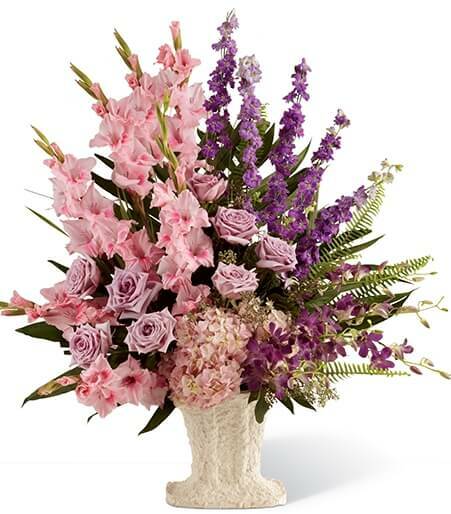 The Traditional Floor Basket is a stunning array of mostly yellow flowers accented by pink flowers. 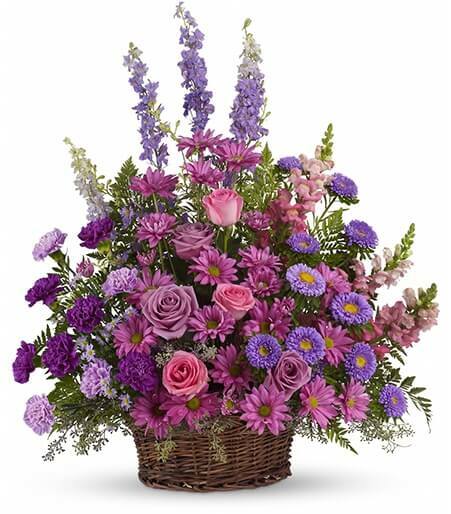 The Gracious Lavender Basket is a gorgeous combination of pink and purple flowers, which is the perfect combination for women. 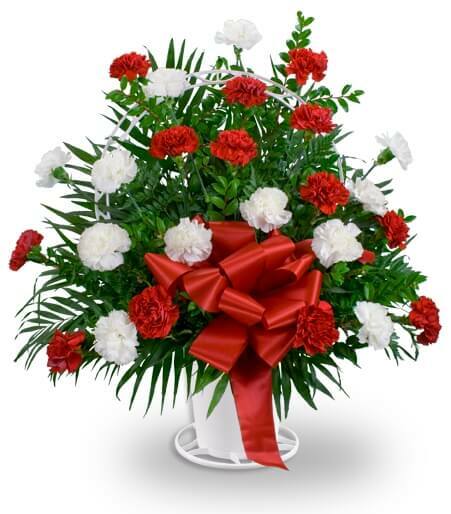 Funeral baskets also come in masculine colors for men funeral services. 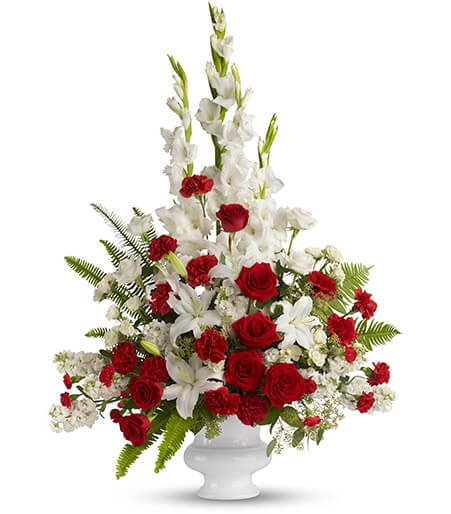 Reds are bold and is a red strong color, while whites are symbolic of honor making the combination of red and white flowers suitable for men. 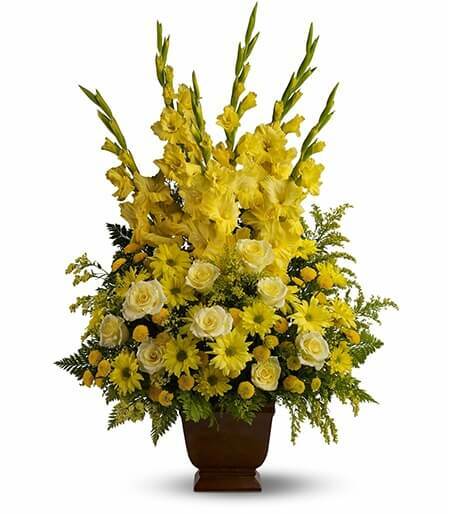 All yellow flowers make a beautiful bright funeral basket also appropriate for men. 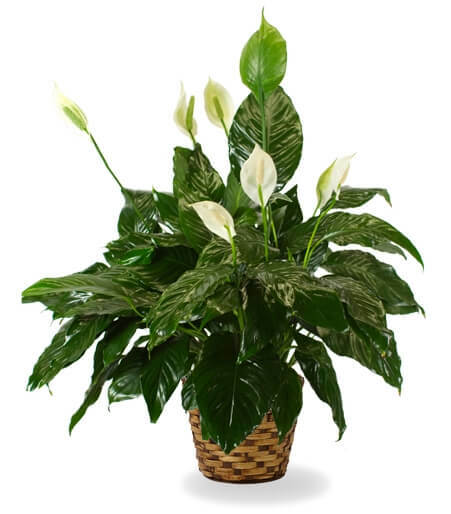 As stated earlier funeral baskets are suitable for anyone to send, especially coworkers. 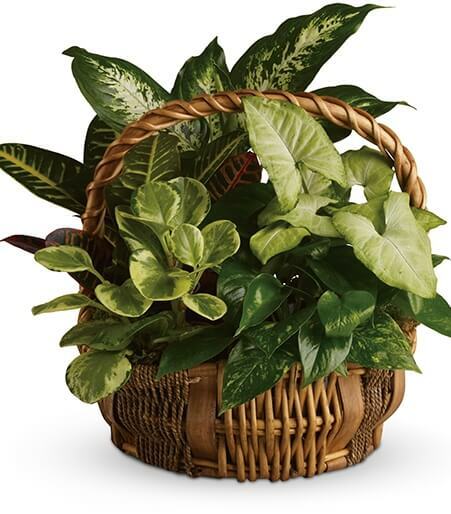 Any funeral basket would be appropriate for a coworker, or a coworker’s family.